Global attention to the cooperative sector is on the rise. The United Nations declared 2012 as the International Year of Cooperatives. For the first time in history, an international summit of cooperatives was organised in Quebec, Canada in October 2012 assembling more than 3000 “co-operators” from all over the world. It was such a resounding success that delegates decided to have this kind of “Davos of Cooperatives” every other year, with the second edition having taken place last October with great achievements. The cooperative business model has proven to be extremely powerful, both economically and socially, around the world. The World Co-operative Monitor – analyzing data from 2012 -shows evidence of a cooperative sector in constant growth, able to withstand the global financial crisis, positively influencing the economic and social well-being of people around the world. From the analysis, it shows that three hundred largest cooperatives located in 26 countries, generated revenues of more than 2.2 trillion dollars in 2012, operating in diverse sectors, including in agriculture, finance, consumer, insurance and health sectors. The largest cooperative in the agricultural and food industries sector by turnover on GDP per capita is in India (India Farmers Fertilizer Cooperative Limited). In Japan, agricultural co-operatives generate USD 90 billion with 91 percent of all Japanese farmers in membership. In the USA, 30,000 co-operatives provide more than two million jobs. According to Juan Somavia, Director-General of International Labour Org anization, cooperatives are well-placed to serve as guardians of the environment and the conservation of ecosystems for the benefit of future generations as they are rooted in the people and communities they serve. 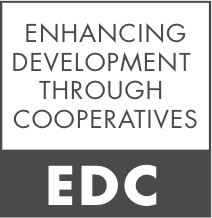 The big question is: why then is the cooperative sector still limited in scope and scale in developing countries such as Malawi? The issue is that while most cooperatives in developing countries today have gained their political autonomy, it is not yet the same for their financial autonomy. Many cooperatives are either dormant or heavily dependent on donor funding. Historically, many African g over nments stimulated, sometimes imposed, the development of a capillary cooperative system during colonial and post-independence eras to facilitate exchanges of agricultural input and output and collect taxes. However, this for m of farmer organisations was rarely successful as stressed by Dr Nicola Francesconi of International Centre for Tropical Agriculture (CIAT). Dr Francesconi noted that the situation began to change for the better in the 1980s when policy reforms led to the gradual disengagement of the State from many functions and services related to agricultural production. It was not until the end of the twentieth century when transformative rural collective action returned aiming to break away from the centralized, rigid and discredited cooperative movement of the past. It is pleasing to note that despite the change in governance and name or form, these farmer organizations continue to adopt democratic principles for decision-making and adequately allocate property rights mainly on the basis of members’ patronage, as in more traditional cooperative structures worldwide. Cooperatives are beneficial to smallholders in many ways. In fact, there is a large amount of evidence that shows the added values of the cooperative model, both economically and socially, as cooperatives can play a crucial role in moving smallholder farmers from subsistence to commercial agriculture. Indeed, without venturing into cooperatives, the future of most smallholder farmers looks grim because of a series of challenges they continue to face along agricultural value chains, such as: low or poor bargaining power vis-a-vis traders and agro-processors o buy inputs and sell outputs; lack of capacity to provide output quantity and quality required by agents of more and more vertically integrated value chains; h i g h transaction costs, among others. So, to become viable and register impact, formation of farmer organizations should not be dictated by external factors, including governments as it was the case in the past, or development projects as it can be the case today. Farmer organizations should be organizational forms driven by market forces and built on members’ common purpose and trust. They should not be used as a conduit to transform development project inputs into outputs. Development projects should instead focus on strengthening these organizational forms by supporting them to respond to their evolving own needs over the long-term. Recently, the Food and Agriculture Organization of the United Nations (FAO) highlighted that progress has been made globally in supporting collective development action with a new approach centred on producer ownership and farmer organization empowerment. But the challenge for development practitioners is to become responsive to farmer organizations’ needs and shift from an implementing role to that of a facilitator. Ultimately, this requires a change in mindset and behaviours. The good news though is that there is already a boom of new development initiatives that have the potential to assist development practitioners in making this shift of a more quality support to organizational development. For instance, FAO has been working with IFPRI, USAID, the World Bank and now CIAT on how the Cooperative Life Cycle Framework developed by Professor Michael Cook from the University of Missouri, USA, could be used as a diagnostic tool for cooperative development in developing countries. Professor Cook recently visited Malawi in September 2014 and exchanged with 27 cooperatives and associations from MUSCCO, FUM and NASFAM. Plans are underway to build on this first exchange with a view to supporting farmer organizations in becoming vibrant and financially autonomous business entities. This – coupled with government eng ag ement in setting up transparent and sound regulatory frameworks for cooperatives, conducive investment climate and policy dialogue spaces amongst stakeholders – paves the way for transforming smallholder subsistence farming in developing countries such as Malawi.